One of the common issues that homeowners face during Ohio’s winters is ice damming. 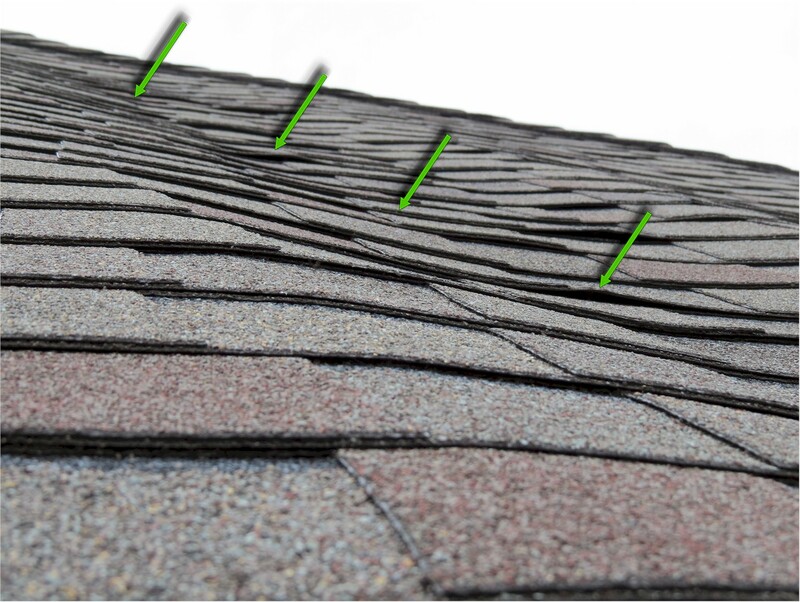 This happens when ice along the edge of the roof melts and backs up under the shingles causing damage to the roof and rooms below this area. Besides water stains on your ceiling there are a few other signs to look for that may tell you that ice damming is happening on your home. 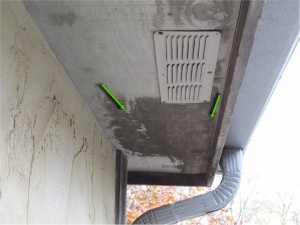 Many times the soffit will show signs of water damage or mold. The darker areas in the photo are areas where mildew is forming due to excessive moisture in the attic and soffit. Another indication that you may have an ice damming problem is the plywood sheeting will begin to sag between the rafters or trusses. This is also due to moisture in the attic which could be a combination of ice damming and a lack of ventilation in the attic. 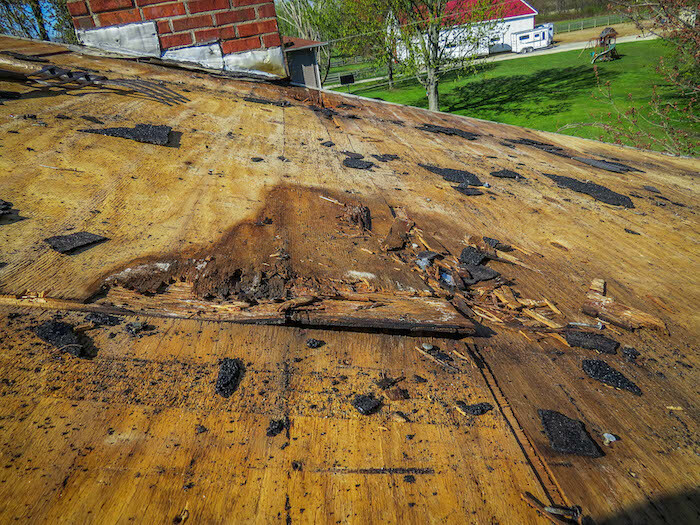 When the plywood begins to sag there is no easy fix, usually the roof and sheeting need to be replaced. 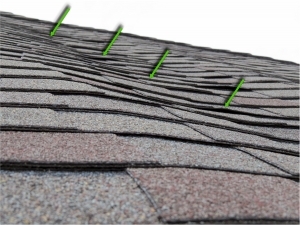 The best defense to the problems above is to have a thorough inspection of your roof before the problems start to happen.